What Happened to the Deserters of Company G, 93rd Indiana Infantry? 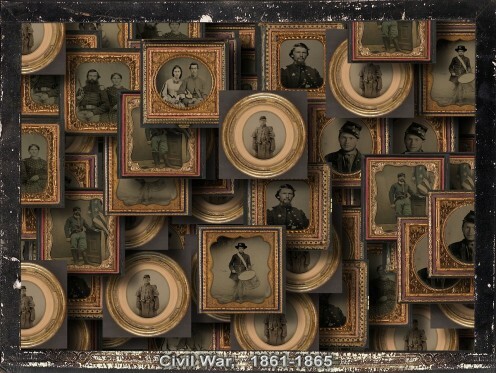 As you search your family genealogy, what if you find a Civil War ancestor who's not a hero, but a deserter? It might be a let-down or a shock, but think it though. There are many factors that influence a soldier's behavior during wartime. 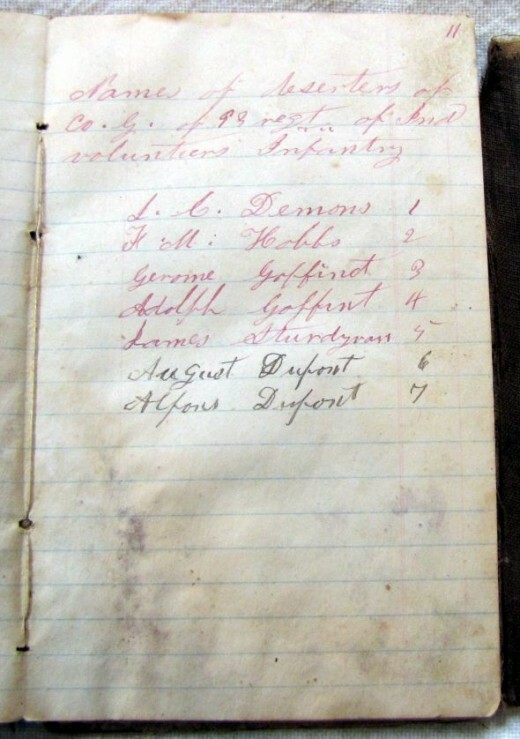 In my great-great grandfather's diary, I found his list of the men he served with in Company G, 93rd Indiana Infantry. A separate page was headed "Names of deserters of Co. G. of 93 regiment.of Ind. volunteer Infantry." I was curious about the seven names listed. Could I find anything about these men 150 years later? How had their lives turned out after they deserted their regiment in wartime? What caused them to desert? 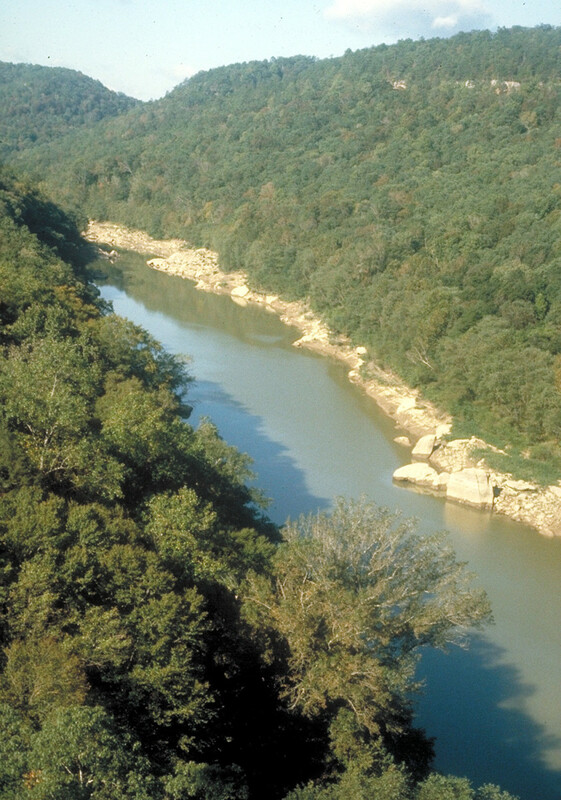 He deserted at Memphis, but returned about six months later on 16 December 1864. There was no trial and he was restored to duty but lost his pay for that time. After the war, he married Marie Goffinet. They had six children. He died in 1919. He deserted at the same time as his brother Alphonse Dupont (above) and returned the same time. He was reinstated but lost pay for the time absent. He married Elisa Rhodes. He died in 1907. 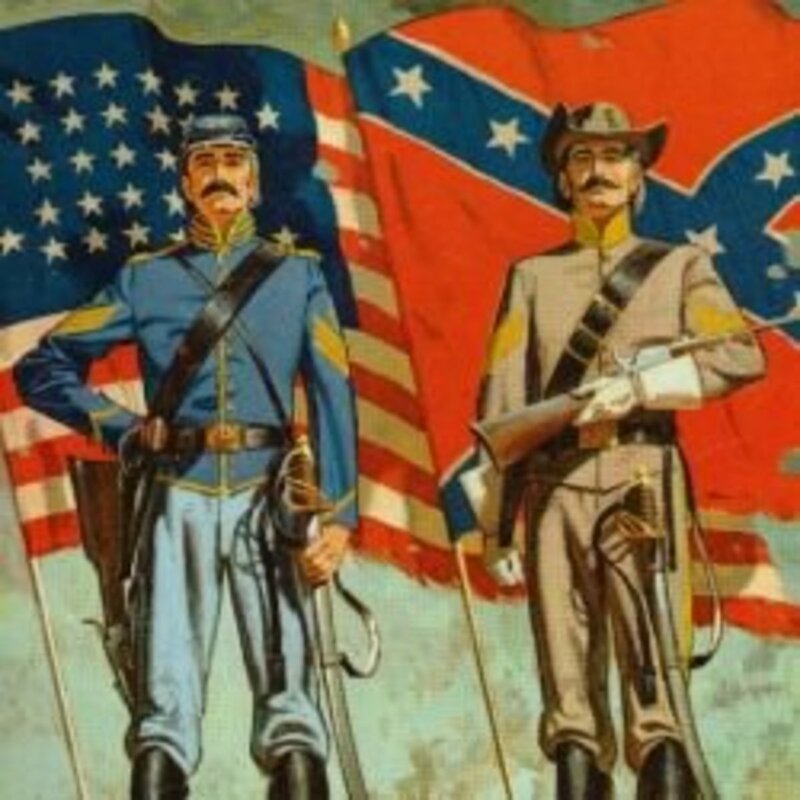 One in seven enlisted Union soldiers and one in nine Confederate soldiers deserted. (is this the right Jerome?) Marie Leonie DAMIN and Jerome GOFFINET Sr. were married on 14 November 1866 in St. Augustine Catholic Church, Leopold, Perry County, Indiana, USA. Belgiums in the American Civil War. The company roster lists him as deserting on December 14, 1863. My ancestor's diary just lists him as F.M. Hobbs. I had no success finding anything about his life in my online searches. 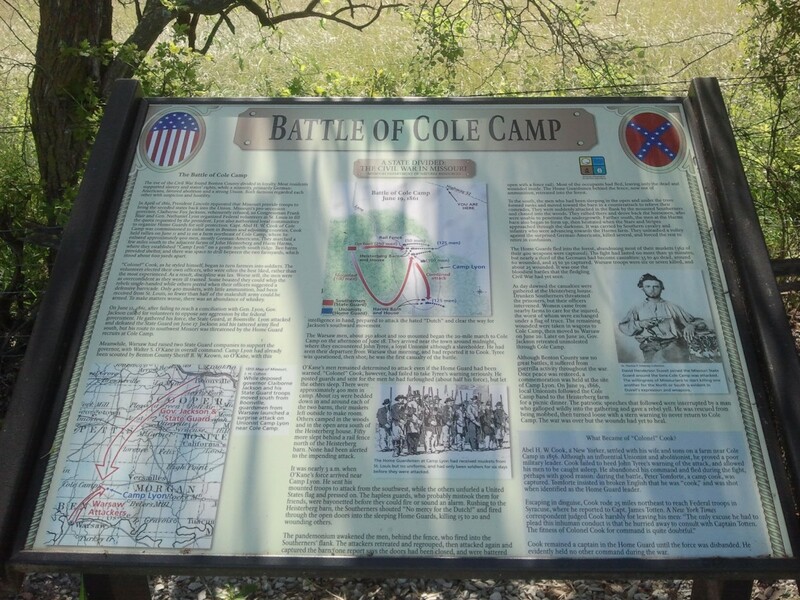 His place of residence when he joined Company G was listed as Maxville, Indiana. He was mustered in on August 28, 1862. Francis M. Hobbs is listed on page 512. The author discusses the reasons for desertion and how the loss of manpower affected the outcome of the war. I found it very enlightening to read this book for better understanding of the reasons men deserted. His residence was listed as Memphis. He deserted on July 22, 1864. On Abraham Tower's list, the last name was spelled Sturdyvan. Probably just Abraham's attempt at spelling it from having heard the name. He also listed the first name as James, but the official roster lists William M. Sturdevant. I found him on ancestry.com with an enlistment date of 8 Dec 1863. So it was 7 months later that he deserted. page 512 of Indiana Volunteers - 93rd Regiment. Read this online. Captured deserters generally were not shot or hanged because manpower was so precious. Reasons why soldiers in the American Civil War deserted. This summary is on the site "Ask a Historian." It talks about how wide-spread desertion was in the American Civil War and how it was punished. 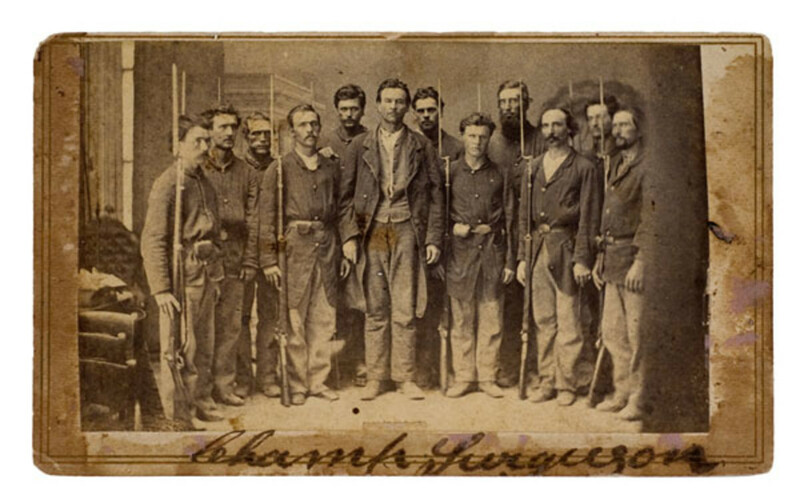 At first troops serving in the Civil War were volunteers eager to fight for a cause that was important to them. As the war dragged on, it became harder to recruit so bounties were offered. Sometimes men deserted, then signed up again to get a bounty. How Would You Feel to Find an Ancestor Was a Deserter? Using bits from letters and diaries written by many soldiers compiled together, this account shows how conditions for the Confederate troops affected their will to stick it out or to desert. You will find many of the accounts quite emotionally touching. This goes far beyond the usual accounts by bringing it to the personal level. I can totally understand deserting. It may not be what we think of as being the noble thing to do, but we are all humans. The reasons for desertion are so varied...you did a good job pointing out these events. Wonderful, human story. Blessed.